The actor Paul Walker died this weekend in a car crash at age 40. 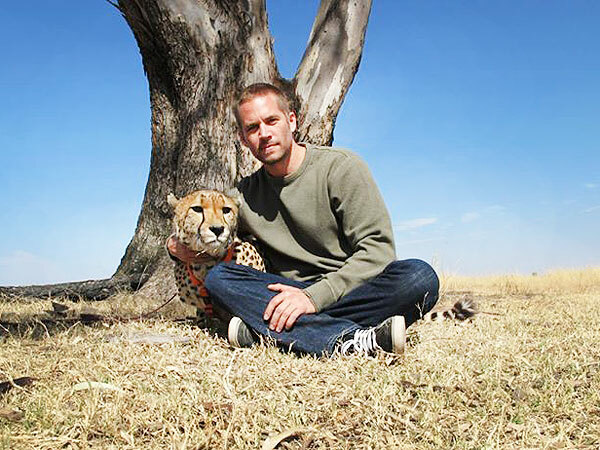 Although he was well known for movies, many people don’t know that Paul Walker was also a self proclaimed animal lover. This past year, I turned on the TV to watch an episode of Shark Week with Paul Walker. Researchers were attempting to tag Great White sharks so they could track and monitor their migration through the oceans. Their goal was to gather information which may be used to help save the Great White and other sharks, as shark populations are on a steep decline and scientists and activists are racing against time to save these amazing animals. In the episode, several researches and their assistants were on a small boat, and one person seemed familiar – I recall thinking, “he looks like the guy from the movie the Fast and Furious”. My recall was accurate – it was Paul Walker. However, instead of the cameras being fixed on him like in the movies, he was in the background and quiet. You could sense he wanted the attention to be focused not on him but on this great cause that he supported. Paul Walker will be greatly missed.